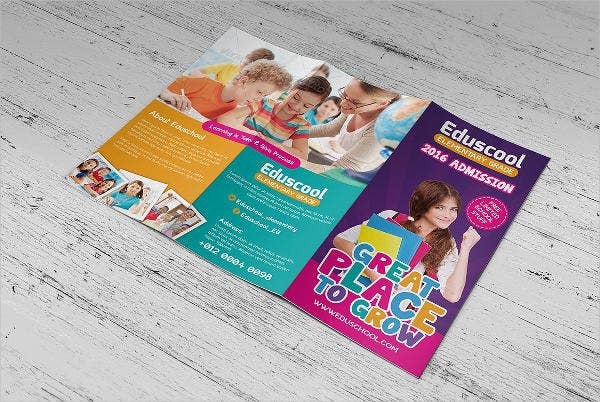 Searching for ways to improvise and beautify your educational brochures? 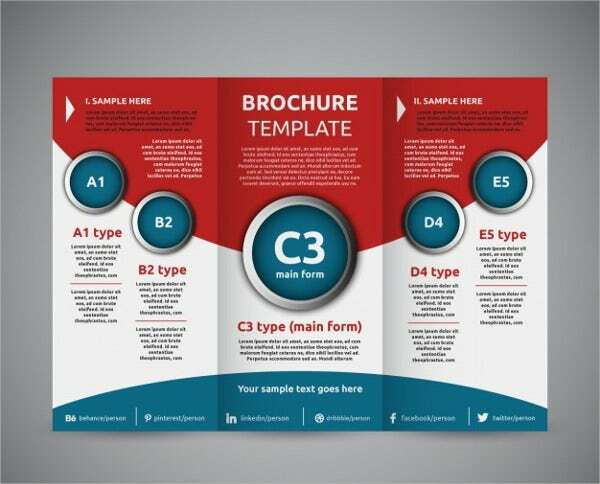 Are you interested to try and use tri-fold brochures? If your answer to both questions is yes, then our you’re perfectly in the right page. Educational institutions are already considered as our second home. Since our preschool days, we have spent most of our time in school for academic or extracurricular purposes. But even schools and universities are also in competition with one another. This is where our templates can help you. 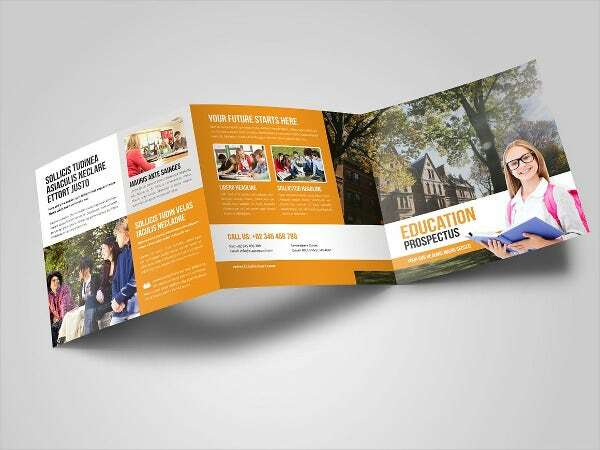 We have an array of educational brochure designs templates that can help you promote your school or university. 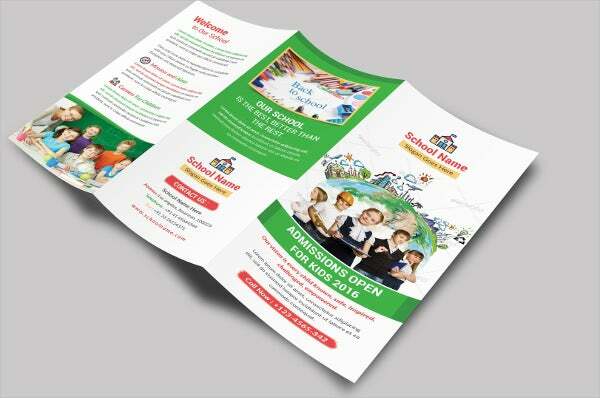 Feel free to try our brochure templates and see them for yourselves. There are many size options to choose from. The most common size is 8.5″×11.0″. Aside from this, there are also other sizes such as the 8.5″×14″, 11″×17″, and 11″×25.5″. These are just some of the sizes to choose from. The beauty of this is that you’re not limited to one particular size. They present an aura of formality and professionalism. 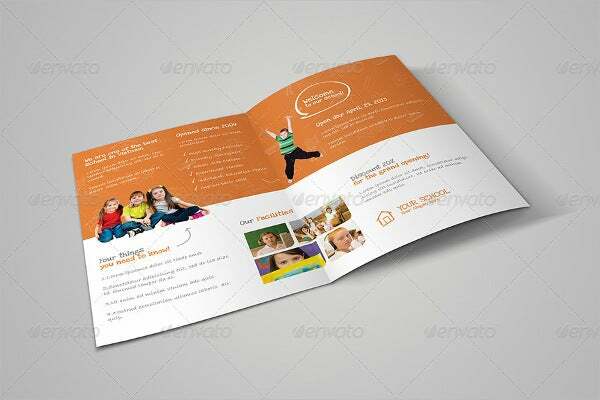 Most corporate brochures are tri-fold brochures. 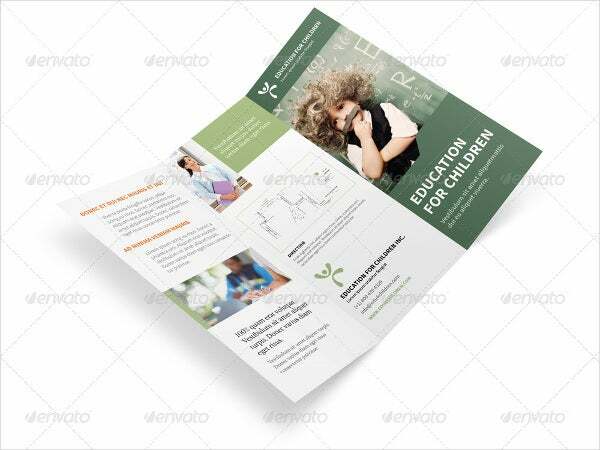 With this, they will also be perfect for your educational brochure. Allows you to save money. 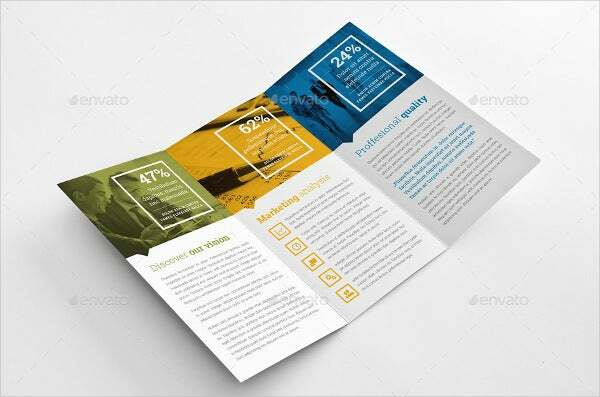 This type of brochure is not just versatile but also cost effective because there are a lot of spaces for you to add your content and images. 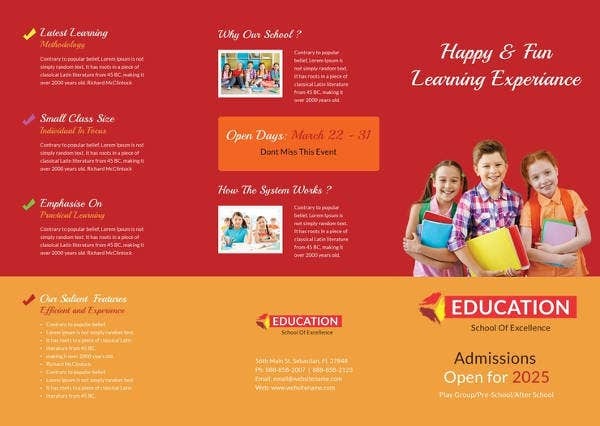 These are just some of the characteristics of trifold brochures which can put your educational institute’s brochure at the spotlight. 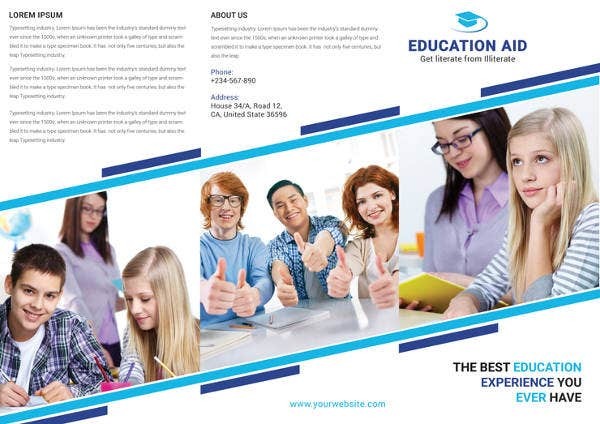 For the public, education-related brochures can help them be aware of their career options and academic opportunities. In terms of formal education, brochures will laid down the updated enrollment fees and other needed payments. It will also list needed requirements for admission to the school or university. 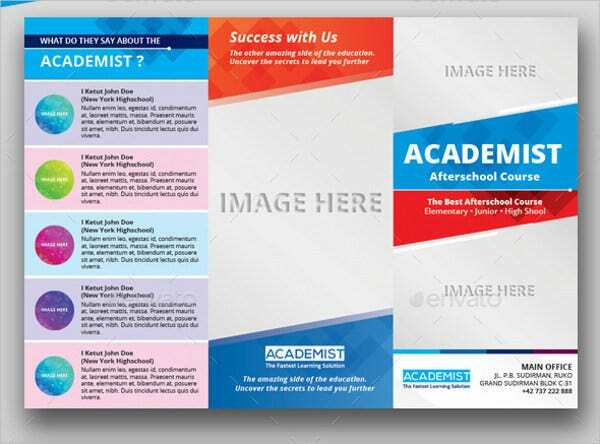 On the part of the authorities governing the private schools, their brochures serve as their way of communicating to the public and showing their quality services. There school would not mean anything if there would be no enrollees. That is why information and awareness brochures are very important. 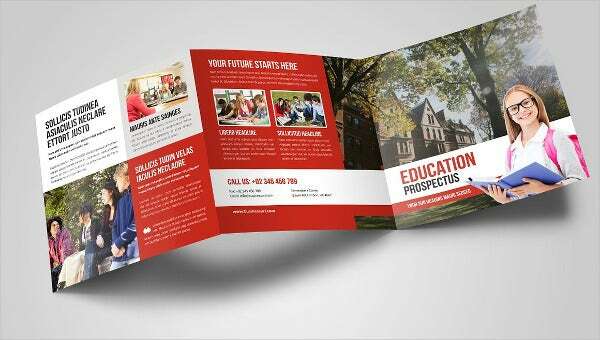 These are the two main benefits of using brochures for educational institutions. Indeed, one must bear in mind that a brochure is more than just a mere scrap of paper. It is a representation of your institution to the public. 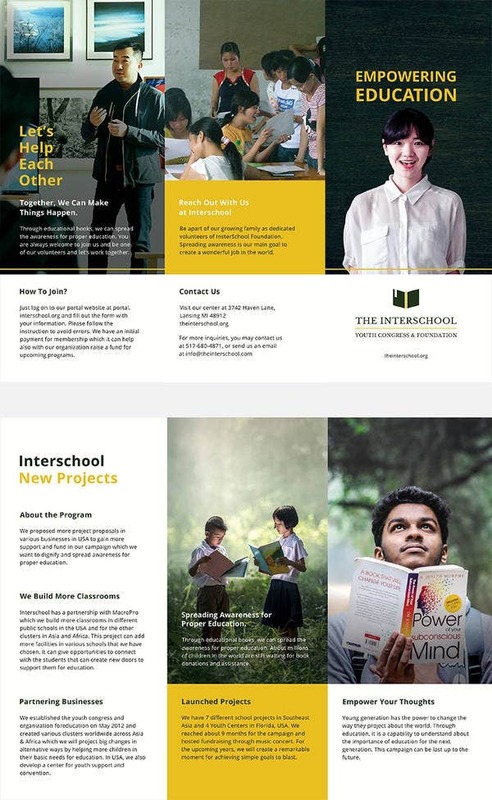 For now, in order to start up your transactions, feel free to try and download our education brochures.